PUBLICATIONS of Dr Harvey A. COHEN. This is a collection of papers in image engineering and visual information systems, including image processing generally including numberplate recognition and speed-up issues, image restoration, (IFS and) fractal image coding, issues in image retrieval using thumbnails, and parallel processing techniques, together with some papers devoted to the design of image codecs, to aspects of satellite systems and to the education of engineers. These papers are grouped by topic. Topic titles include qualitative physics, mathematics education, OZNAKI - a pioneering educational robotics project, the La Trobe Talking Communicator developed for the severely disabled non-speech student. This directory of papers in theoretical particle physics and quantum electrodynamics includes the abstracts for each paper. Dr Cohen completed two years of electrical engineering at Sydney University before transferring to the Science Faculty. He then completed a PhD in computational methods in quantum electrodynamics. Following a post-doc at the University of Adelaide he became a senior lecturer originally in Mathematics and later in Computer Science at La Trobe University. His experiences of teaching undergraduate mechanics lead to “loud-thinking” student efforts in qualitative physics, which research lead him to an initial appointment within the Artificial Intelligence Laboratory, at MIT, Cambridge Mass, and later on a visiting professorship at MIT. A user of the very earliest microcomputers, he conducted the educational robotics project OZNAKI for 8 years, then developed an early Talking Communicator for severely disabled non-speech children. Over time his AI interests turned to vision, and he researched texture recognition, number-plate recognition, image restoration. He was a listed researcher on the establishment of the CRC for Satellite Systems in 1997. He is a Life Member of the IEEE. Papers published in journals or conference proceedings since 1997:. Harvey A. Cohen, Energy Harvesting by Satellites Using Electro Dynamic Tethers Workshop Digest, EHMNS 2017, IEEE Workshop, Energy Harvesting Management and Sensor Networks RMIT Melbourne December 13, 2017, pp 20-22. Abstract Abstract— Satellites operating remotely in a hostile environment require significant power resources to function. 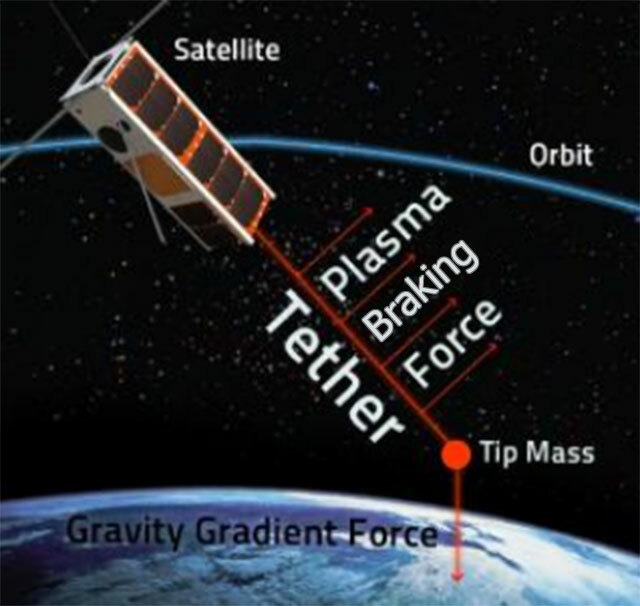 However orbital speeds are high and near earth orbits pass through plasma belts and through the earth’s magnetic field. Electrodynamic tethers offer scope of taking advantage of these condition with direct harvesting via electrodynamic tethering being the most promising, despite the difficulties encountered in early experimentation. Harvey A. Cohen, Neural-fuzzy Feature Detector : A New Approach Proceedings, WDIC 2005 APRS WORKSHOP ON DIGITAL IMAGE COMPUTING Brisbane, February 21, 2005, (Edited Brian C. Lovell and Anthony J. Maeder), Published by The University of Queensland, pp 133-138. Harvey A. Cohen, Hybrid Neural Fuzzy Image Analysis ASOR Mini-Conference Melbourne. Papers published in journals or conference proceedings during 1997:. Harvey A. Cohen and Alan L. Harvey Random Search Methods Speed-Up Object Recognition. Accepted by Australian Journal of Intelligent Information Processing Systems. Harvey A. Cohen Craig McKinnon , and J. You, Neural-Fuzzy Feature Detectors DICTA-97, Auckland, N.Z., Dec 10-12, pp 479-484. Papers published on conference proceedings CDs (only) during 1997:. Harvey A. Cohen, Images for the Internet, Internet World 97 - Australia Pacific, Darling Harbour, Sydney, 11 -14 August 1997. Conference Proceedings on CD ROM. Papers published in journals or conference proceedings during 1996:. Harvey A. Cohen, Fractal Image Coding for Thumbnail-based image Access Proc. Int'l Conf Signal Processing Applications, ISSPA, Gold Coast, Aug 26-28, 1996, Vol 1 pp 158-161. Extended Abstract. Harvey A. Cohen, Parallel Algorithm for Gray-scale Image Segmentation, Proc, Australian and New Zealand Conf. Intelligent Information Systems, ANZIIS-96, Adelaide, Nov 18-20, 1996, pp 143-146. Harvey A. Cohen and Cung H. Duong, Gray-scale Image Segmentation Using a Parallel Graph-Theoretic Algorithm, Australian Pattern Recognition Society, Segment'96, Sydney Dec 13, 1996, pp 105-110 . J. You and H.A. Cohen, Textured Image Segmentation by Optimization of Fuzzy Compactness, Australian Pattern Recognition Society, Segment’96, Sydney Dec 13, 1996, pp 97-100. J. You, W.P. Zhu, H.A. Cohen and E. Pissaloux, A Real-time System for Textured Object Recognition Using Distributed Systems, [Extended Version] International Journal of Computers and Their Applications, Vol III, No 1, April 1996 pp 9-16. Papers published in journals or conference proceedings during 1995:. Alan.L. Harvey and Harvey A. Cohen Machine Vision Revisited Proceedings of the Pacific Region Conference on Electrical Engineering Education, PRCEEE'95, Marysville, Victoria, Australia, Feb 23-24, 1995, pp 105-108. J.You, E.Pissaloux, W.P. Zhu and H.A.Cohen, Efficient image matching: A hierarchical Chamfer matching scheme on a distributed system, Journal of Real-time Imaging, 1995, Vol 1, pp 245-259. J. You, H.A. Cohen and E. Pissaloux, A hierarchical image matching scheme based on the dynamic matching of interesting points, Proc. of 1995 IEEE International Conference on Acoustics, Speech and Signal Processing, (ICASSP-95) Detroit, USA, May 8-12, 1995, Vol 4, pp 2467-2470. Alan.L. Harvey and Harvey A. Cohen, Morphological Restoration of Sparse Colour and Greyscale Images, Australian Journal of Intelligent Information Processing Systems, Vol 2, No 2, June 1995, pp 54-58. J. You, H.A. Cohen, and E. Pissaloux, A new approach to object recognition in textured images, Proceedings IEEE International Conf on Image Processing, ICIP'95, Washington, D.C., Oct 23-26, 1995, Vol II, pp 639-642. J. You, W.P. Zhu, E. Pisssaloux and H.A. Cohen, Parallel image matching on a distributed system, Proceedings IEEE International Conf on Architectures, Algorithms, and Applications of Parallel Processing, April 18-21, 1995, Brisbane, Australia, pp 870-873. J. You W.P. Zhu, H.A. Cohen, and E. Pisssaloux Distributed Object Recognition System, Society for Photonics SPIE Conference on Computer Imaging and Applications, SPIE-95 Philadelphia Oct 22-26, SPIE Vol 2589, pp 58-66. J. You, W.P. Zhu, H.A. Cohen and E. Pisssaloux, A real-time system for textured object recognition using distributed systems in A.K. Goel (Ed), Proceedings International Conf on Computer Applications (ISCA) in Industry and Engineering, Nov 29- Dec 1, 1995, Honolulu, Hawai.pp 9-12. Harvey A. Cohen and Qin Chan, Loci Features for Binary Pattern Recognition, Proceedings Digital Image Computing: Techniques and Applications, DICTA-95, Brisbane 6-8 Dec, 1995, pp 540 - 546. Papers published in journals or conference proceedings during 1994:. J. You and Harvey A. Cohen, Texture Class Assignment in TEXSCALE: An Evaluation Study, Proceedings of IEEE Int'l Conf Acoustics, Speech, and Signal Proceedings ICASSP'94, Adelaide, April 19-22, 1994, Vol pp V-393-396. A.L. Harvey and H.A. Cohen, Sparse Colour and Grey Scale Image Restoration Using a Morphological Method, Proceedings of IEEE Int'l Conf Acoustics, Speech, and Signal Proceedings ICASSP'94, Adelaide, April 19-22, 1994, Vol 5, pp V-461-464. J. You, E. Pissaloux, H.A. Cohen, "A Dynamic Analysis System for Textured Images Using Multiprocessors" in IEEE Int'l Conf Massively Parallel Computing Systems Conference, May 2-6, 1994, Ischia, Italy, pp 375-381. Harvey A. Cohen and Alan L. Harvey "Stochastic Search Approach to Object Location " Proc IEEE Int'l Conf Systems, Man and Cybernetics, San Antonio, October 2,3, 1994, Vol 3, pp 2237-2241. Harvey A. Cohen, Decoding of Block-Oriented Fractal Image Coding: Design Issues, Proc. of the Australian Telecommunication Networks & Applications Conference, ANTAC'94, Vol 1, Multi-Media Services, Melbourne, 5-7 December, 1994, pp 141-147. Harvey A. Cohen, Effective Colour Quantization for Image Display, Proceedings, Australian Pattern Recognition Society Workshop on Colour Imaging and Applications, Canberra 5-7 December, 1994, pp 37-42. Harvey A. Cohen, Map Colour Rendering of IFS Fractals, Proceedings, Australian Pattern Recognition Society Workshop on Colour Imaging and Applications, Canberra 5-7 December, 1994, pp 43-48. J. You , E. Pissaloux, H.A. Cohen, The Mask Tuning Scheme for Texture Feature Extraction and Its Parallel Implementation, Proceedings on the IAPR Workshop on Machine Vision Applications, MVA'94, Dec 13-15, 1994, Kawasaki, Japan. A.L. Harvey and H.A. Cohen, Colour Image Restoration using a Morphological Method, Proceedings, Australian Pattern Recognition Society Workshop on Colour Imaging and Applications, Canberra 5-7 December, 1994, pp 77-82. Papers published in journals or conference proceedings during 1993:. H.A. Cohen and J. You, The TEXSCALE Methodology: Assessment of Multi-scale and Multi-orientation Classification of Textures, Proc IEEE Conference, Visual Signal Processing and Communications '93, Melbourne, 21-22 September, 1993, pp 183-186. A.L. Harvey and H.A. Cohen, Video Motion Vector Estimation Using Adaptive Search Techniques, Proc IEEE Conference, Visual Signal Processing and Communications '93, Melbourne, 21-22 September, 1993, pp 171-174. Harvey A. Cohen, One Pass Gray-scale Image Segmentation, Proceedings of Digital Image Computing: Techniques and Applications, DICTA'93, Sydney, 8-10 December, 1993, Australian Pattern Recognition Society, pp 572-578. Harvey A. Cohen and Ng Wai Loon, Block-oriented Fractal Image Coding Proceedings of Digital Image Computing: Techniques and Applications, DICTA'93, Sydney, 8-10 December, 1993, Australian Pattern Recognition Society, pp 171-178. A.L. Harvey and H.A. Cohen,, Colour Image Restoration by Nearest Good Neighbour Method, Proceedings of Digital Image Computing: Techniques and Applications, DICTA'93, Sydney, 8-10 December, 1993, Australian Pattern Recognition Society, pp 745-747. A.L. Harvey and H.A. Cohen,, Sparse Image Restoration using a Morphological Filter, Proceedings of Digital Image Computing: Techniques and Applications, DICTA'93, Sydney, 8-10 December, 1993, Australian Pattern Recognition Society, pp 467-470A. Papers published in journals or conference proceedings during 1992:. Harvey A. Cohen, Deterministic Scanning and Hybrid Algorithms for Fast Decoding of IFS Encoded Image Sets, Proceedings IEEE International Conference on Acoustics, Speech, and Signal Processing, ICASSP'92, San Francisco, March 20-3, 1992, Vol III pp 509-512. Alan L. Harvey and Harvey A. Cohen, Methods for Fast Image Object Recognition in Robotics, Proceedings, IEEE International Workshop on Emerging Technologies and Factory Automation, EFTA, 1992, Melbourne, 11-14 August 1992, pp 639-641. Alan. L. Harvey and Harvey A. Cohen, Use of Non-linear Filters for Heavily Corrupted Grey Scale Image Restoration, Proceedings of the International Symposium on Signal processing and Its Applications, ISSPA'92, Gold Coast, Queensland,, August, 1992, pp 102-104. H. A. Cohen and J. You, The Segmentation of Images of Unknown Scale Using Multi-Scale Texture 'Tuned' Masks' Proceedings of 2nd Singapore International Conference on Image Processing ICIP'92, Singapore, 7-11 Sept 1992, pp 726-729. Alan L. Harvey and Harvey A. Cohen, Fast Location of Rotated Objects Proceedings of 2nd Singapore International Conference on Image Processing ICIP'92, Singapore, 7-11 Sept 1992, pp 443-446. Papers published in journals or conference proceedings during 1991:. Harvey A. Cohen, IFS [Iterated Function Systems] Encoding of Image Segments: Efficiency of Decoding Algorithms, Proceedings Australian Broadband Switching and Services Symposium '91, Sydney, July 1-3, 1991, Vol 2, pp 242-250. J. You and Harvey A. Cohen, Image Segmentation by Texture Using 'Tuned' Convolutions, invited Chapter in R. Phamondon and H.D. Chen, (Editors), Pattern Recognition: Architectures, Algorithms and Applications Interface and Parallel Processing, World Scientific, Singapore, 1991, pp 187-209. A.L.Harvey & H.A.Cohen, Software Speedup Techniques for Binary Image Object Recognition, Proceedings, IEEE International Conference on Industrial Electronics, Control and Instrumentation, IECON '91, Kobi, Japan, Oct 28-Nov 1, 1991, Vol 3, pp1730-1733. A.L.Harvey & H.A.Cohen, Vehicle Speed Measurement Using An Imaging Method, Proceedings, IEEE International Conference on Industrial Electronics, Control and Instrumentation, IECON '91, Kobi, Japan, Oct 28-Nov 1, Vol 3, 1991, pp 1827-1830. A.L.Harvey and H.A. Cohen, Aspects of Image Character Recognition, Proceedings of IREECON'91, Sydney, Sept. 1991, pp 138-141. A.L.Harvey and H.A. Cohen, Fast Recognition of Objects of Unknown Scale, Proceedings of IREECON'91, Sydney, Sept. 1991, pp 142-145. Harvey A. Cohen, IFS Encoding of Image Segments: New Deterministic Scanning and Hybrid Algorithms for Fast Decoding, Proceedings of Digital Image Computing: Techniques and Applications, DICTA'91, 1991, pp 554-561. Harvey A. Cohen, Multi-Scale Versus Scale Invariance, Proceedings, Workshop on Computer Vision, - From Industrial Automation to Cognitive Science, Edited by R. A. Jarvis, 12th International Joint Conference on Artificial Intelligence, IJCAI'91, Sydney, 24-30 August, 1991. J. You and H.A. Cohen, Image Segmentation via Tuned Convolution Mask, Proceedings Third National Conference on Robotics, Melbourne, June 3-6, 1990, pp 305-316. A.L.Harvey and H. A. Cohen, Image Optical Flow Techniques for Speed Measurement, Proceedings of the International Symposium on Signal processing and Its Applications, ISSPA'90, Brisbane, August 27-31, 1990, pp 563-566. J. You, H.A. Cohen, and R. Xuan, Computer Recognition of Chinese Characters, Proceedings of the International Conference on Computer Processing of Chines and Oriental Languages, April 25-28, 1990, Changsha, Hunan, China, pp 108-116. Harvey A. Cohen and Alan L. Harvey, Targetting Number Plates Effectively Using Sparse/Full Templates and Coarse/Fine Template Marching Proceedings of the IAPR International Workshop on Machine Vision Applications, MVA'90, Tokyo, Japan, Nov 24-28, 1990, pp 93-96. Harvey A. Cohen and Jane You, Image Segmentation via Texture Selective Masks, Conference Digest, National Symposium, Image Analysis Society of Australia, Melbourne, September 24-28, 1990, p9. Harvey A. Cohen, Designing Computer Systems Engineering Programs: Single-track or Multi-track? Proceedings of the Pacific Region Conference on Electrical Engineering Education, PRCEEE'90, Phillip Island, Victoria, December 17-20, 1990, pp 1-7. H.A. Cohen, Systolic Convolvers in Parallel to Achieve Higher Throughput, Proceedings of the IEEE 1989 Australian Symposium on Signal Processing and Applications, ASSPA'89, Adelaide, April 1989, Vol 1, pp 169-172. H.A. Cohen and J.You, Texture Statistic Selective Masks, Proceedings, 9th Scandinavian Conference on Image Processing, SCIP, Oulu [Finland] June 19-22, 1989, pp 930-935. D. Suter, X. Deng, H.A. Cohen, and T.S. Dillon, Development and Implementation of Parallel Vision Algorithms. Proc. Society of Manufacturing Engineer (S.M.E) Conf. VISION'89, Chicago, April 1989, Sec 3, pp 1-14. Harvey A. Cohen, The Application of IFS [Iterated Function Systems] to Image Analysis, Proceedings of the IEEE International Conference on Image Processing ICIP'89, Singapore, Sept 5-8, 1989, Vol 2, pp 583-587. Harvey A. Cohen, Texture Energy Tensor for Texture Discrimination, Proceedings of the IEEE International Conference on Image Processing ICIP'89, Singapore Sept 5-8, 1989, Vol 2, pp 544-547. Harvey A. Cohen and Alan L. Harvey, Application of Spatiotemporal Filtering to Visual Estimation of Flow Rates of Aggregates and Slurries: Preliminary Studies , Proceedings of the IEEE International Conference on Image Processing ICIP'89, Singapore, Sept 5-8, 1989, Vol 2, pp 811-814. Harvey A. Cohen and David Suter, Adaptive Enhancement of Perceived Contrast in Diffuse Images: Case Study: Electron Microscope Images, Proceedings of the IEEE International Conference on Image Processing ICIP'89, Singapore, Sept 5-8, 1989, Vol 1, pp 16-20. H. A. Cohen, Architecture and Algorithms for Effective Utilisation of DSP Chips in Image Processing, Proceedings of IREE (Australia) Conference, "Image Processing and the Impact of New Technologies" Canberra, Dec 18-20, 1989. A.L.Harvey, H.A.Cohen and D. Kothari, Modelling of Image Motion Measurement using Computer Simulation, Proceedings of the 1989 Conference of the International Association for Mathematics and Computers in Simulation, Canberra, September 25-27, 1989, pp 563-567. J. You and H.A.Cohen, Active Salient Image Contour Finding via Snake, Proc 3rd Pan Pacific Computer Conference, PPC-3, Beijing, August 15-19, 1989, pp 991-998. J.You, D. Suter, X. Deng and H.A. Cohen, Parallel Implementation of Vision Algorithms, Proceedings of the Beijing International Symposium for Young Computer Scientists, August 21-23, 1989, pp 542-544. J.You, H.A. Cohen, and R.Xuan, Computer Recognition of Chinese Characters, Proceedings of the 1989 International Conference on Computer Processing of Chinese and Oriental Languages, Nov 8-11, Changsha, Hunan, China, pp 108-116. These papers are grouped by topic. Topic titles include qualitative physics, mathematics education, OZNAKI - a pioneering educational robotics project, the La Trobe Talking Communicator ( developed for severely disable non-speech students ). VIS = Visual Information Systems.Topics: Edges. Interesting points. Image restoration. Image access via thumbnails. Texture analysis, identification, segmentation. Fuzzy image processing. Using fractals to encode images. The perceptron images. Dragons are formidable problems in qualitative physics, challenging, and yet solvable using little or even no algebra or calculus. e.g. Which direction does the yo-yo roll? What if the table were greased?